We manufacture Kwickstage system / quick wedge scaffolding. Complete system components are offered like Standards, Ledgers, Transom, Brackets, boards, Jacks, Ladders etc. These meet various international standards like Euro, BS, IS, Australian etc. Quikwedge Standards / Verticals form the support or the uprights and are made from Standard Scaffold Tubes of 48.3 x 4 mm thickness. The latest innovations are lso available in 48.3 X 3.25 mm in both Grades - 50 & 40 C as per BS: 4360. 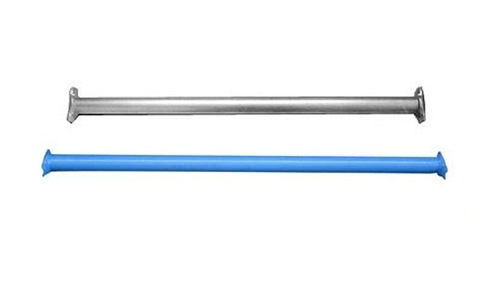 Quikwedge Standards / Verticals have a series of "V" Pressed welded at minimal 500 mm on the tube to provide the location for ledger and transoms. They also have the option of integral wedge spigots as well as open ended. 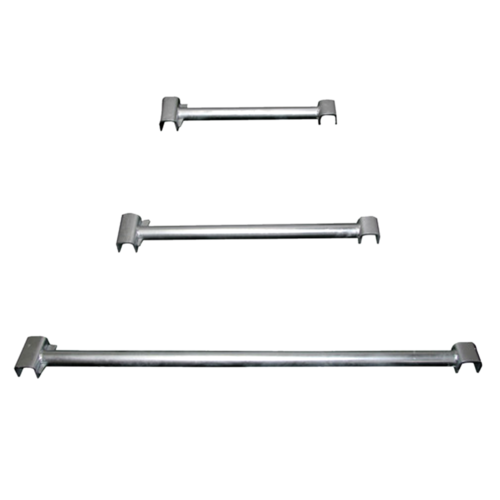 Our scaffolding diagonal brace have pivoted captive wedge fittings welded to each end, to locate the "V" pressing standards. Can be effectively used to form facade bracing. We offer our clients Scaffolding Ladder Access Transom that is used to provide an opening in a bay allowing a ladder to pass through it. The L.A. Transom is attached to and spans between the ledgers in the bay. These are widely appreciated for its quality features and tensile strength and are available in wide applications as desired by the clients. 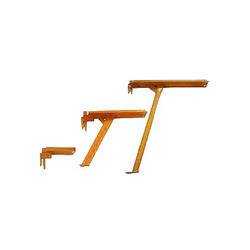 Further, we make available this Scaffolding Ladder Access Transom at industries leading prices. The Ladder Access Transom is used to provide an opening in a bay allowing a ladder to pass through it. The L.A. Transom is attached to and spans between the ledgers in the bay. 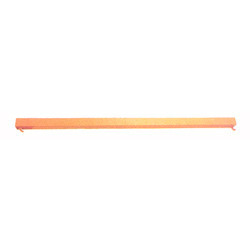 The ledger/horizontal is made from high quality metal tube with cast wedge-fixing instrument at the ends. 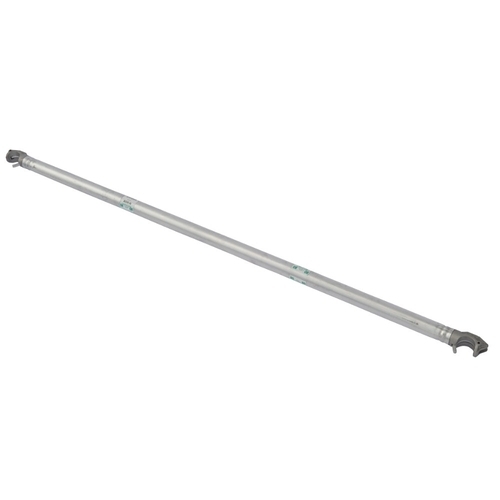 They are used in the standard or verticals longitudinally. They are used on the inside as a platform and on the outside as a guardrail. A Transom is a rolled "T" section with a wedge fixing support on the ends. The transom is available in back to back angles of 50 x 50 x 5mm to form a "T". The transoms are used with "V" pressing on the Standard/Verticals fixing the inner and outer standards/verticals diagonally to form a frame. The Return Transom is manufactured from steel and press shaped to place it over a ledger to form a 90 degree return angle in the scaffold. The Return Transom with seating on one side for Timber Battens or Steelstage. We offer our clients End Toe Board Bracket that is clamped to the end of the scaffold platform. They lock the end toe board which can be either timber or steel stage. Further, these are widely appreciated for its durability and long service life. 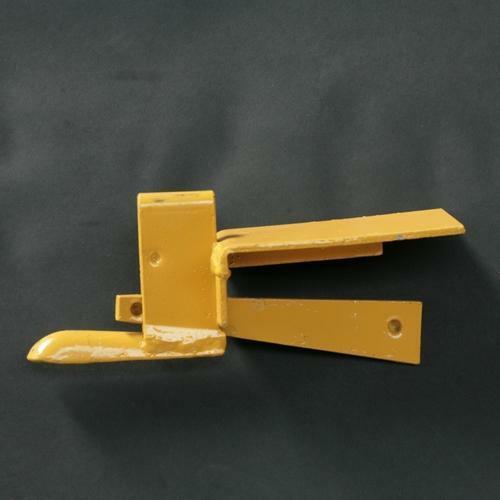 Available in wide applications, we make available this End Toe Board Bracket in various specifications as desired by the clients and at industries leading prices. 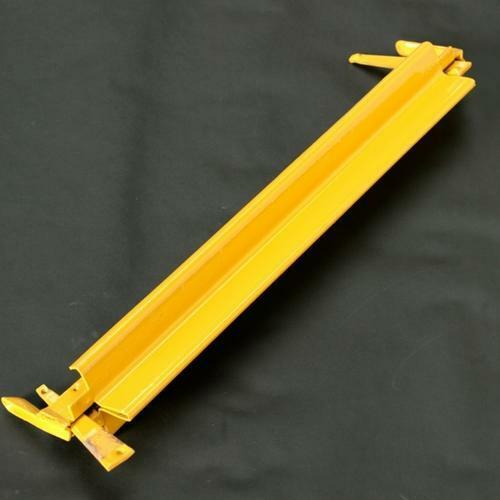 Backed by skilled engineers and advanced technology, we are able to offer our clients Toe Board Bracket that are in compliance with industrial standards. Toe boards are edges that are secured using the standard Toe board bracket. The brackets protruding prong locks the standard to hold the toe board/plank in one place. 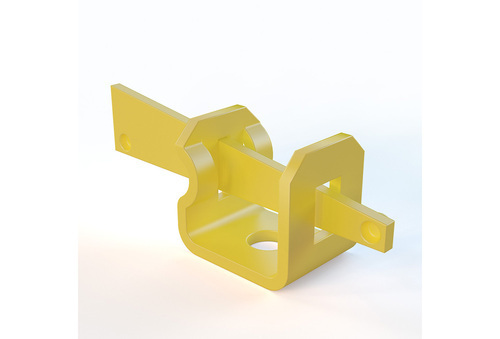 We offer these brackets in various sizes and shapes in accordance to client’s specifications at reasonable prices. Stage Bracket – 1 board provide an additional 255 mm platform to be fitted on the inside of the scaffold. Tie bars ar not required to connect them together. They have an option of both rolled section and back to back welded angle. Stage Bracket – 1 board and 2 board provide an dditional 450 mm (1’6") and 675mm (2’3") platform respectively to be fitted on the inside of the scaffold adjacent to the building. Tie bars are used to connect the brackets together. They have an option of both rolled section and back to back welded angle. 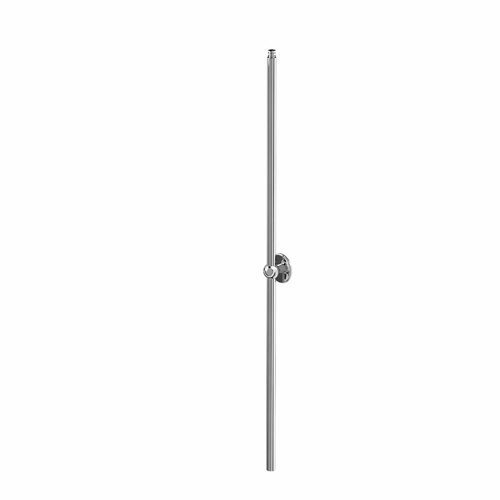 A length of 40 mm x 40 mm angle iron with dowel at either ends. 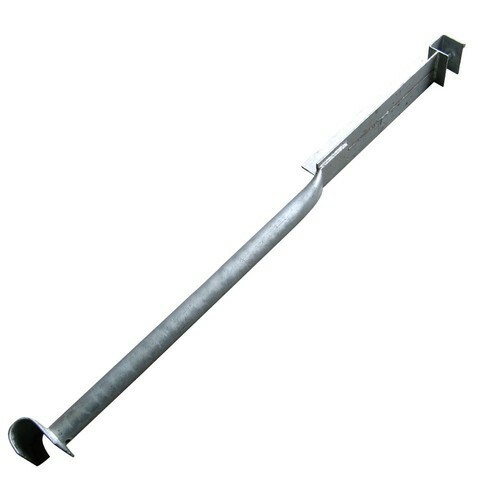 Tie bar is used to fasten stage brackets together. Looking for “Kwickstage - Quick Wedge Systems”?